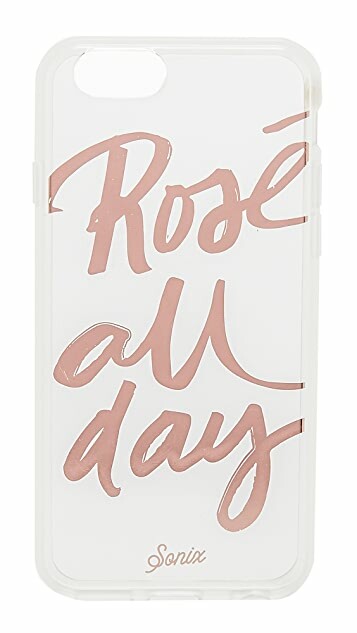 'Rosé All Day' lettering lends playful detail to this Sonix iPhone case. Shock absorbent rubber sides. Formfitting construction with button, cord, and camera cutouts. 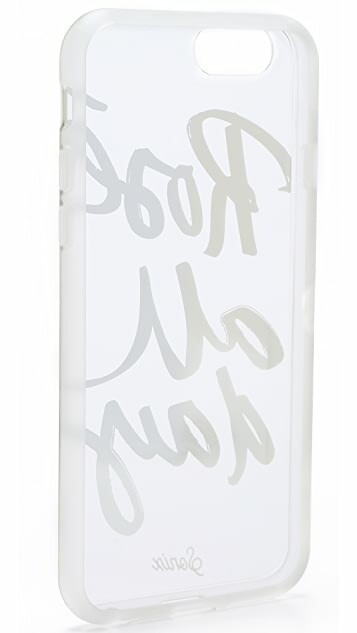 I am using this cover with my rose gold iPhone 6S so it really matches well, plus the writing doesn't scratch off. Looks great.